We focus on residential and commercial garage doors, and will repair, install, and service whatever you need. We can render the highest quality garage door repair and installation service to our customers by providing top quality tools, fast response times, and upfront pricing. Need professional garage door installation for your DC home or business? DC Local Locksmith Experts is a fully bonded and insured locksmith company in Washington DC offering expert garage door repair, installation, and replacement services. We offer a wide variety of services for residential garages and commercial garages, which we can install and repair at a reasonable cost. Our fast and friendly technicians are available 24 hours, 7 days a week. 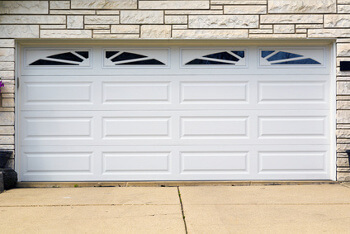 Is your home’s or business’ garage door broken? Are there broken or bent rollers? Are the overhead springs faulty? Looking for an experienced torsion spring technician in DC? It can be very frustrating dealing with garage door issues and the inconvenience that comes with a broken overhead door. A competent technician such as the ones at DC Local Locksmith Experts can repair your broken overhead door or provide replacement garage door services ASAP. 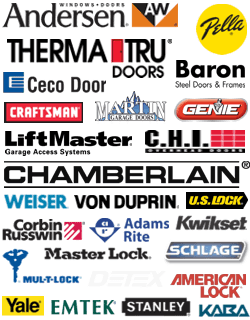 We only use the best quality garage door brands and garage door hardware. If you want to have your garage door up and running in no time, contact us immediately. We focus on residential and commercial garage doors, and will repair, install, and service whatever you need. We can render the highest quality garage door repair and installation service to our customers by providing top quality tools, fast response times, and upfront pricing. At DC Local Locksmith Experts, we have a team of well-trained and experienced 24/7 DC door service technicians. Each of our expert garage door technicians has at least 5 years of experience in the industry. Our technicians are polite, prompt, and highly dedicated to ensuring complete customer satisfaction. Our aim is to provide the highest quality garage door installation and DC locksmith service to you in a prompt, efficient, and professional manner. We install and replace every garage door brand available. Our highly skilled and experienced garage door hardware installation experts are the area’s leading garage door maintenance professionals. We will do the job right the first time. Safety is our top priority so we always assess the work that needs to be done prior to performing any service. Our service is designed to make you feel safe in your own home. We have great expertise in a wide variety of garage door brands and styles that will suit your home’s unique design. We will evaluate your garage door situation. If the pesky spring is constantly jamming, we can fix it. We can also check the remote to see if it’s bugged and needs to be reprogrammed or replaced. If you simply want a new garage door installed, we can handle that for you. We have a solution to installing or replacing doors for residential garages that will save you money, time, and frustration. Tired of your old garage doors? Our expert garage door replacement service is a fantastic choice for businesses. Whether your overhead doors are old and you want to replace it, or you just need a new garage door opener, we’ve got you covered. We can provide any garage door locksmith solution your business or office needs for security and safety. Our commercial garage door technicians can repair broken garage door cables, rollers, springs, and more. Our technicians can also provide a replacement garage door opener for your commercial property. Our fast and friendly technicians are able to solve emergency garage door problems quickly using the latest equipment and technology. So if you’re experiencing any emergency, such as replacing the garage door entirely, just call our 24x7 locksmith service and we’ll respond promptly. If you need an emergency midnight garage door replacement in Washington, DC, give us a call. 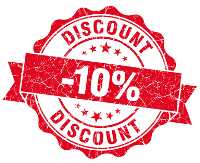 We also offer monthly or annual maintenance options to ensure that your garage door is running smoothly and efficiently. DC Local Locksmith Experts in DC is your trusted garage door replacement professional serving thousands of customers in the DC area. From the very first day we began to provide service, our mission has been to surpass the industry standard for locksmiths. Our quality workmanship speaks for itself. Our garage door installation technicians can provide complete installation and repair services, including emergency situations. Our company is bonded and insured and we offer upfront pricing. With 24x7 DC door services always available, help is never far away. Contact us today and we’ll have all of your residential and commercial garage door repair, installation, and replacement needs taken care of. Garage Door Installation https://dclocallocksmith.com/garage-door-installation-dc/ 4.0/5 based upon 24 reviews.